There are currently 4,687 users on this website. New Member From Louisiana! Avatar Request! Hello Everyone! New Stamp Collector here from Louisiana. Nice pic and welcome from Alabama. Nice pic, and welcome from a member in Tennessee, who is an NLU Grad....not ULM...NLU! Thank you tgswanner. The vessel was named & built in my father's memory. Dad's company was his first client. Every now and then the guys offshore send me pictures when it goes to their locations. It IS a beautiful picture - good enough for the next Louisiana Statehood stamp! Welcome to the group from an old river watcher raised along the Ohio River below Cincinnati. Do you have a personal connection to the water or the boat? Thanks for the picture! The vessel was named & built in my father's memory. Dad's company was his first client. Every now and then the guys offshore send me pictures when it goes to their locations. 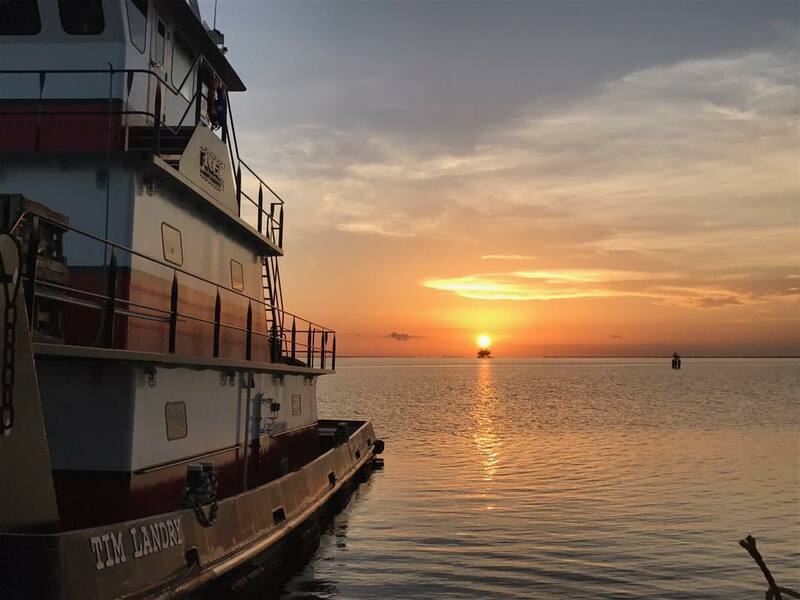 The boat in the picture named Tim Landry, my father, is docked in one of the north fields offshore looking at the Central Facility at sunset. Hurricane katrina actually wiped out our black bay production area which consisted of over 80 wells at the time. My dad was the guy who redesigned everything like the platforms structures & equipment, barricks, etc. He and I worked together while I was finishing engineering school before he passed away. So, yes I would say I have a personal connection. It took 0.45 seconds to lick this stamp.